At Toddle we believe the wonder of adventure is the greatest gift we can give our children. Given the choice we choose experiences over things every time. And it seems that the science is with us on this one. Travel strengthens family bonds, encourages independence, stimulates intellectual development and, most importantly, makes us all happier. And those can only be good things, right? And whilst we would love to tick off all the epic adventures on the Lonely Planet top 10 family travel experiences, the great news is you don't have to be snorkelling in The Cayman Islands to make the most of these benefits. It seems that it is the small differences in our surroundings whilst we are travelling that have the biggest impact on our little adventurers. 1. Travel differently. If you can include an element of adventure to your journey you’re already making the most of your travel before you even arrive. What might seem mundane to we grown-ups can be magical to a small child. Sailing rather than flying can add a real element of excitement to the beginning of your adventure. Just watch their jaw drop the first time they see a ferry towering over them and their awe as they watch the waves crash against the side. All that extra room to run around is no bad thing either! 2. Eat something different. The idea that different places means different food is a revelation to little people and given that most of them are ruled by their tummies its a huge part of their travel experience. Walking to local shops to buy still warm-croissants in the morning, swapping the perennial favourite of lasagne for moussaka or letting them feast on a huge bowl of in-season fruit they’ve picked out themselves from the market will leave a lasting impression long after memories of the scenery have faded. 3. Eat somewhere different. Are you seeing a pattern yet? Often routine has to go out of the window when you're travelling so embrace the change. Plan long lunches in pedestrian squares where they can stretch their legs between courses. If you are by the coast there are few things more magical than finding a seafront restaurant and watch them dabbling their toes over the edge of a jetty whilst the fish swim up for crumbs. 4. Do something different. 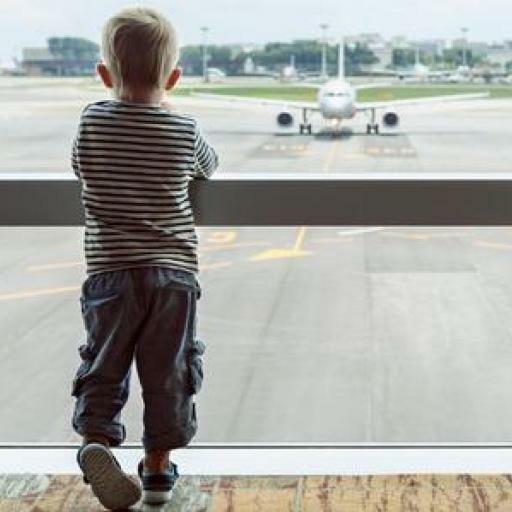 Travel throws up all sorts of opportunities for adventure that will thrill your little explorer. Top of the list if you are anywhere near mountains or clifftops is a cable car ride; a 10 minute trip will seem like the experience of a lifetime. Splashing about in rock pools looking for sea creatures, paddling in a lake - whatever opportunities your surroundings throw up, make the most of them. They will forge the memories that last a lifetime. 5. Embrace the differences. Small children are still making sense of the world so it is often the background details that they find fascinating. The strange shape of pylons or street signs, the different routines or sound of another language in the background. You’ll be amazed what they notice and point out. If they are a little older encourage them to try a few words in another language or hand over the money in a shop; their delight and pride when people respond could make their day (and yours!). So lets pack up those trunkies, stock up on baby-friendly sun cream and grab our passports …. After all having children is where the real adventure begins.